I am currently running a Treo 750v and suffered all of the problems posted for that phone, such as failing to pick up calls, dropping bluetooth connectivity, failing to ring. I am attracted to the Treo Pro but want to be sure that the same problems don't exist with it, as I'm sure it probably shares some technology. Has anyone had those style of problems? Anonymous, 30 Sep 2008why would you want to install palm on it anyways? WHat if one has invested in Palm OS software, it will be useful if the applications and data is migrated gracefully. Dose I've never had a Palm before, or any smart phone really. My mom just bought the V500 and i really like it. That runs on Windows 6.0, whats the difference between a Palm OS. Also I was looking at one at a website and it showed it using a the new Windows OS. what dose it run on? Why Palm OS? !Cos its only the best most stable OS ever. Second question, Is the Palm Pro (Micorsoft OS) compatible with Skype. Ryan, 18 Sep 2008hi this comes out with windows only?? can i install palm software on itwhy would you want to install palm on it anyways? pl give details on built in hands free.is there auto pick up in coming calls after rings to blue tooth device? Ryan, 18 Sep 2008hi this comes out with windows only?? can i install palm software on itYou can if you install StyleTap - it is Palm OS emulator for windows mobile. This unit appears to be direct competition to the Blackberry bold with perhaps a little more feature-wise. Palm has poor exposure and service in the UK! Why is this? They are good units and very user friendly, but with no back up in the UK, they can forget it! The Treo Pro does hav IR - love that it has WiFi and the on board GPS! Really cool device!!! Quite impressive but yet to. No FM radio as well. Not enough, a complete smartphone today must have secondary camera for videocalls, a flash for the main (and the only one in this case)camera and fm radio (to take advantage on the 3.5mm jack)would be nice. 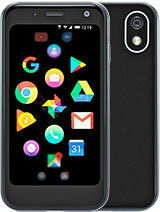 Go here: http://www.gsmarena.com/showpic.php3?sImg=newsim­g/08/08/palm-treo-pro-leaks/gsmarena_002.jpg and you can see it says IR-port on the side. Is there really infrared? Why isn't anybody offering any proof? It's not on the spec sheet, and I can't find it on the closeup photos of the phone. The top just shows the Power and Ringer Switch. I see no infrared. Where is it? Please get new agent in Malaysia as the current one no nothing about palm, poor customer service, poor product availability. Will tarnish the palm image.